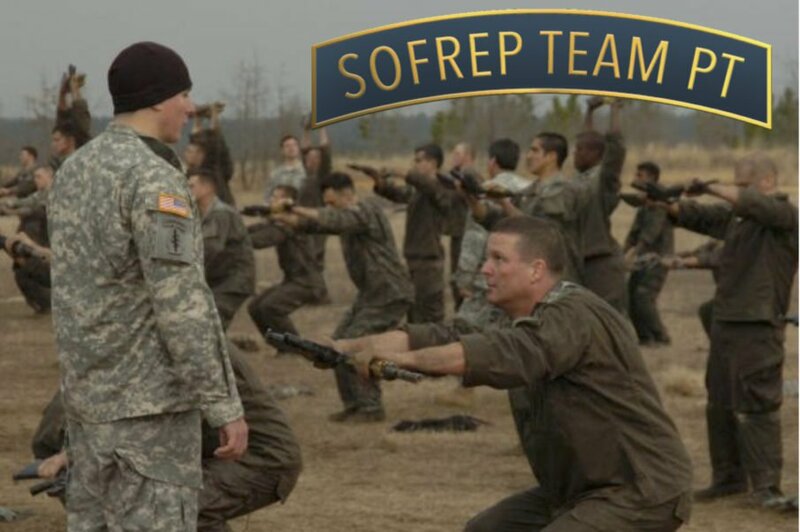 Getting prepared to pass Selection into Special Operations is a long, and difficult process. As the summer months begin to slowly morph into fall, many of the prospective candidates will begin their preparation in earnest to tackle the course. For many of the candidates, the two biggest elephants in the room revolve around carrying a rucksack. What we term “rucking” on long distance speed marches and land navigation. The rucking that Special Operations units do is longer, faster and with much more weight than their conventional brethren are accustomed to. Many of the candidates have a hard time with rucking and a lot of the comments and questions we get here at SpecialOperations.com center around that. For those preparing for Selection and especially those new to the military and running or rucking for distance for the first time in their lives, physical issues crop up. We recently received a message about issues one prospective candidate was having. Among the comments this candidate forwarded was one that centered around his shoulders. He said he was having pain in both of them and after a few miles, his hands were getting tingly, almost numb. Let’s take a look at what may be causing this particular candidate’s issues and figure out what the best course of action may be to alleviate the pain he’s having. Many times, your body is not used to carry large heavy items around on your shoulders. And your body is going to rebel a little bit by making those shoulders ache after a long rucksack march. Even very experienced ruckers and special operators can get achy shoulders after a really long ruck, like a 20+ miler. More often than not, this is the issue and it goes away after a short while. It just takes your shoulders some getting used to the weight digging into your shoulders where there was never any weight there before. Many times, candidates will tighten their shoulder straps on their ruck until they are nearly cutting off your circulation. Your shoulder straps should be snug but not too tight. If they are, the tightness will send alarm signals to the nerves in the back of your neck, shoulders, and arms. The result is, the nerves will tighten up and spasm which can cause the tingling and numb sensation. As we said, you may want to loosen those shoulder straps a bit. And two other suggestions are to buckle the sternum strap as well as your hip belt. Those two straps will definitely take the strain off of just your shoulders. The hip belt especially will ease the burden off of your shoulders and place the weight across your hips. We put out a daily physical training workout that should help our readers who are aspiring Special Operations candidates get properly prepared to attend the course. Yesterday’s PT column had a 3-mile run, a 300-meter swim, and a short 3-mile rucksack march. What we call the Special Operations Triathlon. But we’re always putting out exercises and workouts that increase your upper body strength and included in there are plenty of shoulder exercises because that is where the ruck straps sit. If your shoulder muscles are a weak spot of your body, you can incorporate more of those into your workouts. Some very good exercises to build them up are in our workouts. They include shrugs, overhead presses, both barbell and dumbbell, upright rows and heavy Farmer’s carries. Sometimes your issues may not be just one of these but a combination of all three is needed to help you out and take away those throbbing shoulders. Try each of these and they should help you out immeasurably. However, if these problems persist or get worse, then you should check with your primary care doctor and/or chiropractor. It may be a medical issue that needs to be looked after. Remember, you are here to prepare for Selection, not get hurt before you go. If there is a medical issue, get it looked after right away. But these tips should help you right away. It is a long journey to get into Special Operations. Learn to do things the right way before you get to Selection and your chances of being selected increase dramatically. And if anyone else has any questions or comments feel free to send them along to me at @SteveB7SFG on Twitter or via email at [email protected]. We’ll get to them and answer them all. And as always, your name or contact info will not be shared. We may, like today, write a post for issues or questions that we get frequently that will be helpful to all.